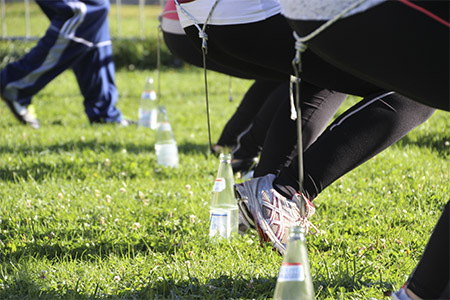 Incentive training is a combination of didactic resources, activities and sometimes spectacular exercises in the outdoor area, serving the motivation, entertainment or reward. 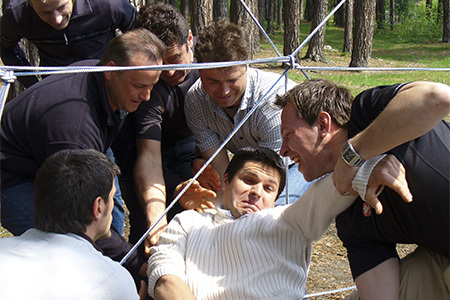 It is an efficient way to promote teamwork and staff development and to have also fun. Depending on the company or individual club - trainings, seminar concepts, incentives and events are developed. These vary from the fun and action outdoor event to cultural events with process-oriented aspects. Thanks to professional partners and diverse specializations, we are able to choose from a wide range of offers and help people and businesses to find the right way to achieve their goals with joy and ease. We will be happy to make you an individual offer without obligation! "Whoever does what he / she can already and has always done, will always remain what he / she is!" Ernst was for many years an active athlete and coach in ski racing. Because of his talent in the organization he became chief of a ski school and organizer of many events and international races. Because of his attitude towards sport and the need of many athletes, years later he also became an expert in performance tuning. Many youth and top sportsmen / sportswomen are using his know-how. In this field he also executes publicly funded courses today. His practice focuses on personality and consciousness education and the promotion and development of social and mental core competencies for sportsmen / sportswomen such as men in the workplace with a focus on experience-oriented process training.